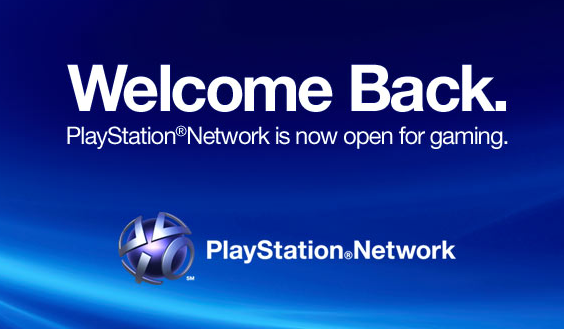 After weeks of downtime due to the hack attack on Sony's PlayStation Network and much frustration, the PlayStation Network is fully back online with upgraded security measures. Unfortunately the data that was stolen from millions of customers will never be recovered. Sony has issued a new firmware update that is mandatory for all PS3 consoles and you will be asked to change your password as soon as you sign into your account. The good news is that you can only change your password from within your own console alone. Sony has stated that its customers will get a welcome package in the next few days to sweeten the whole bitter situation PS3 gamers have went thru. For more info, hit up the source link and get your gaming on!